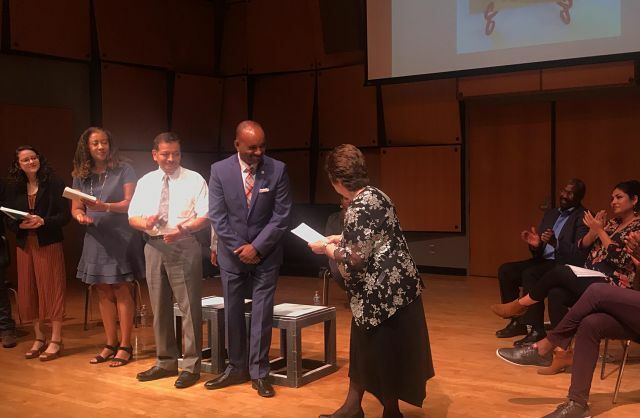 New York (TADIAS) — Elias Wondimu, Founding Director of TSEHAI Publishers, was recognized with the 2018 Hidden Heroes Award at Loyola Marymount University on November 3rd, 2018. Elias was one of five honorees from the University’s community that were nominated for the award. As part of the award ceremony Elias’ life story, as written by David Johann Kim, was performed by actor Desean Terry in a drama narrative. “I was really happy that my dad saw it with me,” Elias said of the ceremony, which took place on Saturday, November 3rd at Loyola Marymount University’s Murphy Hall.